Raghuram Rajan is a celebrity economist known across the globe for predicting the 2008 global meltdown. More recently, he has been referred to as a "celebrity central banker", a phrase used recently by Harvard University Professor Kenneth Rogoff to describe monetary policymakers of major economies. Rare praise has come his way from renowned commodity guru Jim Rogers - one of the few investors said to be still skeptical about India. Rogers said that he has more respect for the Reserve Bank than for the US Federal Reserve. "I wish the RBI was running the American central bank. Your central bank has not been great but it has been a lot better than many other central banks... the people there at least understand the problem," Rogers said. The admiration for Rajan among economists and investors seemed to grow, when he ignored calls for a rate cut, including one by finance minister Arun Jaitley. "RBI's policy is very balanced and pragmatic. There should be no complaints from market participants," said Killol Pandya, senior fund manager at LIC Nomura. This was not the first time that Rajan came under intense pressure to cut rates, but the clamour for a rate cut was louder in the December policy because consumer price inflation trended at record low and global crude prices also seemed headed towards $60 per barrel. India's growth moderated in the September quarter, with the GDP growing at 5.3 per cent as compared to 5.7 per cent in the June quarter. 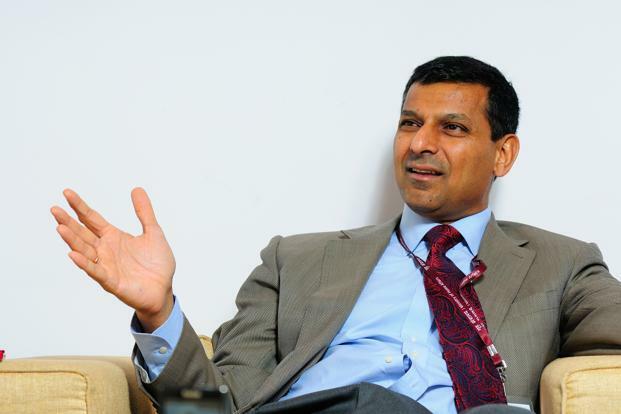 Rajan, however, stuck to his guns in the standoff with inflation, and said the RBI does not intend to flip-flop on policy. His hardline stance on inflation has won him universal praise at a time when central bankers across the world are resorting to easy monetary policy to push growth. He also said that the RBI could cut interest rates early next year if prices cooled as planned. This was a signal that the central bank would not come in the way of growth. "Clearly, a very dovish statement by the governor; they have acknowledged that inflation is treading expectations and that there is scope for monetary easing in early 2015. Markets like clarity and they are reading this as a signal that barring any surprises, a February 2015 rate cut looks likely," said R. Sivakumar of Axis Asset Management. If retail inflation cools as envisaged by the RBI's glide path (headline CPI at 8 per cent by January 2015 and 6 per cent by January 2016), it would be a major victory against sticky price rise that has troubled the economy for years. It will also be a boost for Rajan, who is credited with the stabilizing the rupee post the crisis in 2013.